It has almost become a rite of passage for the St. Louis Cardinals to end each season atop the National League Central standings. From 2000 to 2015, the team made the postseason in 12 of 16 seasons, including five straight appearances from 2011 to 2015, establishing a model of consistency unheard of in modern baseball. For fans of opposing NL teams, the Cardinals are who everyone loves to hate. Although the team still hasn’t gone through a losing season since 1999, its playoff magic has run out the last three seasons. The Cardinals haven’t made the postseason since the ’15 season despite continuing to be in the hunt. The front office was active this offseason, adding two star names to its roster in an effort to avoid its first four-year playoff drought since the late 1980s and early ’90s. Despite sporting a record most teams would love to have, last season was an unusually tumultuous one for the St. Louis Cardinals. Coming off their second straight year without a playoff appearance — a rarity for the organization — they were active in the offseason, spending over $43 million in free agency to sign starting pitcher Miles Mikolas and relievers Greg Holland, Luke Gregerson, and Bud Norris. Also coming to the Cardinals via trade was outfielder Marcell Ozuna, who had a breakout season with the Marlins in 2017. Trying to revamp for a postseason run, the front office also shipped out some familiar names in Stephen Piscotty, Randal Grichuk, and Aledmys Diaz. The moves didn’t have their intended effect. St. Louis stumbled through the first half of the season, particularly in June and July, heading into the All-Star break at 48-46. Manager Mike Matheny was fired two days before the end of the first half after a loss against the Reds. That was the first time in 23 years the team fired its manager in the middle of a season. The Cardinals further shook things up by trading center fielder Tommy Pham at the July deadline. Interim manager Mike Shildt seemingly lit a fire under the Cardinals, who went 40-28 in the second half and 22-6 in August. That led the organization to name Shildt the full-time manager on August 28. A mediocre September, though, knocked the Cardinals out of the playoffs, as they couldn’t keep pace with the Brewers and Cubs in the division. Injuries played a huge role in the Cardinals’ season. 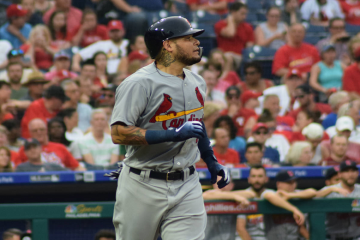 Shortstop Paul DeJong, second baseman Kolten Wong, and starting pitchers Carlos Martinez, Adam Wainwright, and Michael Wacha spent significant portions of the year on the then-disabled list. But the team also had its fair share of disappointing performances. Pitcher Luke Weaver (4.95 ERA, 4.46 xFIP) regressed in his second full season. Ozuna (.280/.325/.433, 2.7 fWAR), while solid, didn’t replicate his career year with the Marlins in 2017 as he played through a shoulder injury that required offseason surgery. Despite the offseason signings, the bullpen was also a problem. The group posted a 4.38 ERA (12th in the NL), 4.27 FIP (11th), and 4.50 xFIP (13th) while posting an atrocious 10.9% walk rate. But the team did get breakout performances from Mikolas (3.67 xFIP, 4.3 fWAR) and fellow starting pitcher Jack Flaherty (3.58 xFIP, 2.3 fWAR), giving them a solid foundation in the rotation moving forward. Meanwhile, third baseman Matt Carpenter exploded for a career-best 36 home runs, Jose Martinez (.305/.364/.457) was an offensive force as a full-time player for the first time, and rookie Harrison Bader (3.5 fWAR) emerged as the center fielder of the future. General manager John Mozeliak was active this offseason in an effort to get his team back to the postseason. The Cardinals didn’t add a lot of players, but the ones they did acquire could have a huge impact. The biggest move came in early December when St. Louis acquired one of the game’s top players in Paul Goldschmidt from the Arizona Diamondbacks. He should provide a huge lift to a Cardinals offense that was good but not great in 2018. Mozeliak also addressed his team’s most glaring weakness by adding Andrew Miller on a two-year deal in December. He will likely be used in a “stopper” role out of the bullpen, coming into games in pivotal moments rather than a specific inning. With little depth behind 36-year-old catcher Yadier Molina, the Cardinals also signed Matt Wieters to a minor-league deal in February. He figures to win the backup job over Francisco Pena. The Cardinals didn’t lose any huge names, though they did take a hit in their depth. Weaver and Carson Kelly, two promising young players, were sent to Arizona in the Goldschmidt trade. The team also lost its primary 2018 closer (Norris), a key power bat off the bench (Adams), and their backup shortstop (Garcia). While the Cardinals never truly “rebuild” the way other teams do, they could enter a bit of a transition phase after this season. Barring extensions, Carpenter, Goldschmidt, Ozuna, Wainwright, Wacha, and utilityman Jedd Gyorko will hit free agency. The trade for Goldschmidt very much looks like an effort to go for it in the last season with some core contributors. Reyes has been at the top of the organization’s prospect rankings for several years at this point. Injuries have kept him from making any meaningful contribution in the big leagues so far. But with his tantalizing repertoire — he hits 100 mph with his fastball and has a plus curveball and changeup — and age (24), the future still looks bright. He figures to see extensive time in the majors this season, likely as a reliever. Behind Reyes, the Cardinals don’t have a lot of superstar potential, but they do have some depth. With this solid group of third basemen, headlined by 2018 first-round pick Nolan Gorman, St. Louis could very well let Carpenter walk at the end of 2019. Knizner was a key reason the team felt comfortable letting Kelly go in the Goldschmidt trade. He could get to the majors as soon as this year. Dakota Hudson will contribute in 2019, whether it’s in the rotation or bullpen. Thomas and Cabrera could also get time in St. Louis this season, while the rest of the group is still at least a year away. 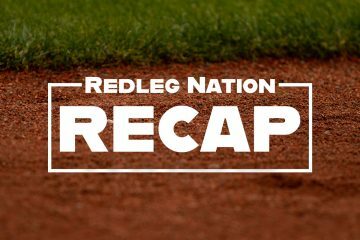 Stay tuned later today for part two of the Cardinals preview, where we’ll look at the roster and record projections. It will be interesting to see if the Cardinals can get Goldy to agree to an extension. The templates are out there for several pathways he might choose. Great preview, Matt. Looking forward to part 2. The Cardinals got Goldschmidt, but left their rotation untouched, as is. Starting pitching has to be at the top of the list of worries about the 2019 Cardinals. The Cards banked a lot on the fortunes of Martinez and Reyes as their next rotation workhorses. But the injuries have sideline both for much of their young ML careers. Wacha and Wainwright coming off of injury filled 2018 seasons. Wainwright is showing a lot of age now. Mikolas and Flaherty aren’t going to be able to carry the Cardinals for 162 games. Reds and Cardinals have some similarities for 2019. Good offenses, not good defenses, under-performing bullpens, and starting rotations with boat loads of questions. With a little bit of luck, the Cards could be a sub-.500 team when the all-star break roles around. If that is the case, that would be a big sell-off coming out of St. Louis come the last half of July. I don’t understand why the Cardinals didn’t fortify their rotation after trading for Goldschmidt. They did extend Mikolas, but he was already a bird in hand. They have plenty of cash on hand for such moves without even worrying about the luxury tax threshold. That Dexter Fowler contract couldn’t possibly be hamstringing the Cards’ budget and spending to the point that they could not make any more moves this winter.